Everyone needs to network. It is the way professionals build vital connections with people who ultimately become friends, clients, colleagues or sources of inspiration. 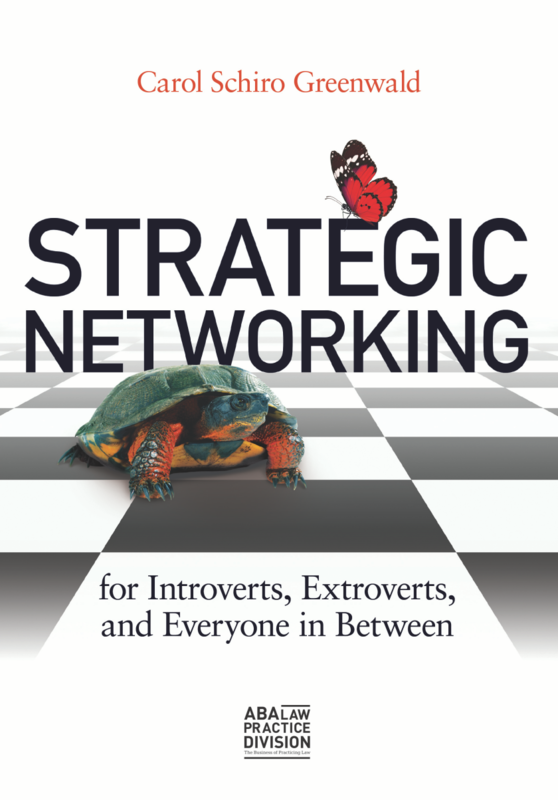 My new book, Strategic Networking for Introverts, Extroverts, and Everyone in Between shows you, step by step, how to use networking to realize your goals. The book draws upon my experience as an introvert who learned to network effectively in order to build a successful consulting business. After twenty-five years of business development coaching, I understand why people run into problems that interfere with effective networking. Best practices derived from interviews with three dozen professionals who excel at networking ─ attorneys, finance professionals and industry leaders ─ illustrate the rewards of networking strategically. Of course, I believe that reading the book will help you to be a better networker; but to be a best networker, hire me to tailor the book’s lessons to your needs. I know that any professional ─ introvert, ambivert, extrovert ─ can find his or her own authentic networking style. I am not a natural networker; I am an introvert who networks. I work in an industry where, in order to succeed, I need to interact with a wide group of people, some of whom I know well and many I don’t know at all. I learned to network successfully by creating a comfortable process for myself. I consider strategic networking to be the most effective form of personal marketing. I know that any professional ─ introvert, extrovert, ambivert ─ can find a comfortable way to network. I believe that networking is more about focus and attitude, than activity and aptitude. I understand that strategy adds intention to the process, so that networking can become a pathway to personal, career and firm goals.